You have the little bits of riced cauliflower but what do you do with them? We’ve got you covered with this guide to cooking cauliflower rice. I won’t lie, the first time I tried cauliflower rice, I did NOT like it. That was until I learned that seasoning was the key to making the perfectly flavorful cauliflower rice dish. 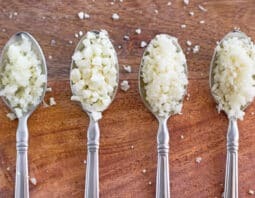 There are several ways to make a flavorful cauliflower rice dish. You can simply cook it, then season it with salt, pepper and garlic powder. I personally love the Cauliflower Cilantro Lime Rice recipe below. You can serve it as a side, stuff it in a burrito, or even turn it into a casserole. I know you’ll LOVE it. O.K., so what do you do to make cauliflower rice? 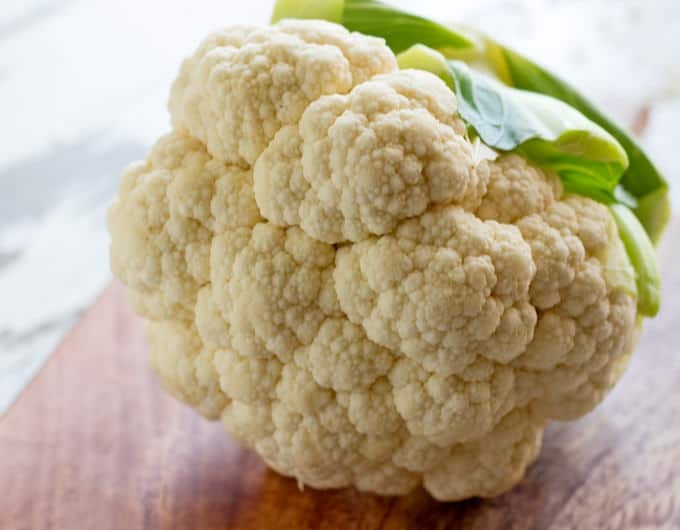 First, get yourself a bag of riced cauliflower (sometimes called cauliflower crumbles or cauliflower rice) at the grocery store from the produce department or rice a head of cauliflower yourself. 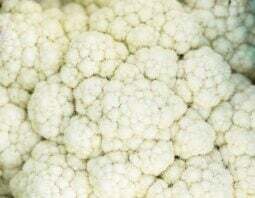 Transfer the rice-sized pieces of cauliflower to a clean kitchen towel and squeeze the water out. To a skillet, add some olive oil and riced cauliflower, salt and pepper and cook over medium-high heat for 6-8 minutes, stirring occasionally, until cauliflower rice begins to soften. Once soft, remove from heat and serve. If you want to add more flavor, and I’m betting you do, check out the recipe below. After cooking the cauliflower rice, you add chopped cilantro and lime juice. Deeeelish! 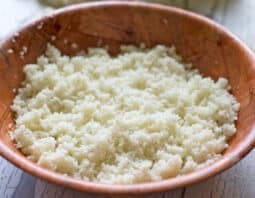 If making your own cauliflower rice, wash and dry cauliflower. Remove the green parts and cut into florets. 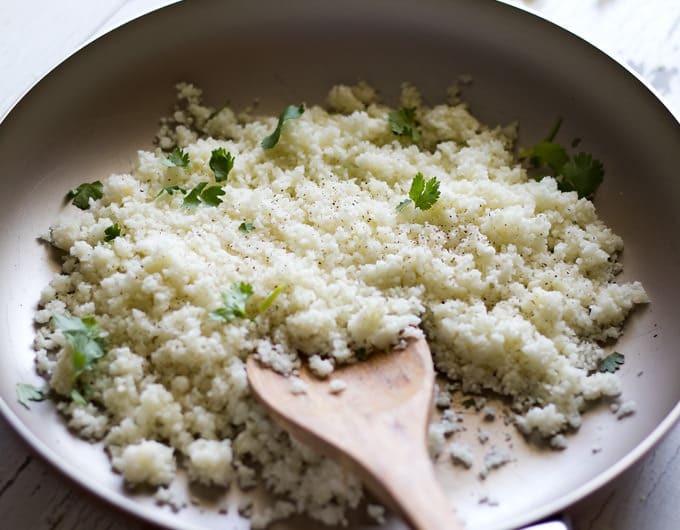 Using a box grater or a food processor, turn the cauliflower florets into the rice-size pieces. Careful with your fingers when using the box grater! Drain if needed. 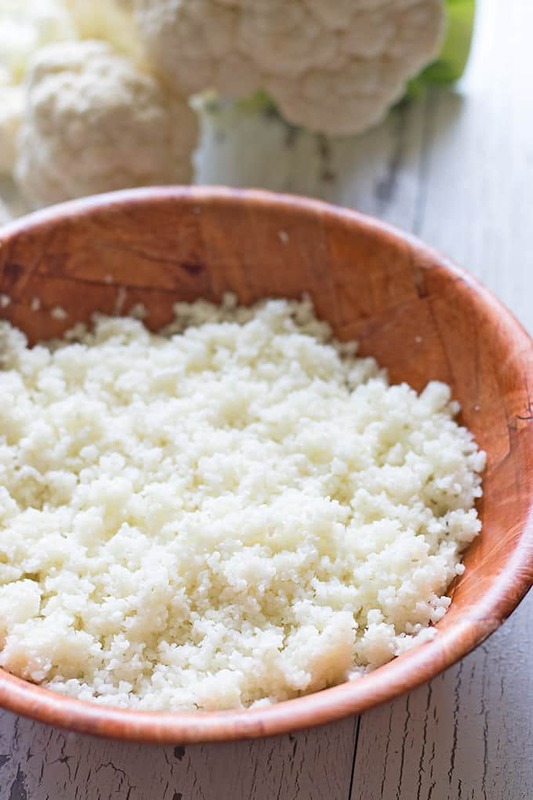 Transfer cauliflower rice to a clean dish towel and squeeze to remove any excess moisture. In a skillet, add olive oil and riced cauliflower, salt and pepper and cook over medium-high heat for 6-8 minutes, stirring occasionally, until cauliflower rice begins to soften. Remove from heat and stir in chopped cilantro and lime juice. Serve and enjoy!